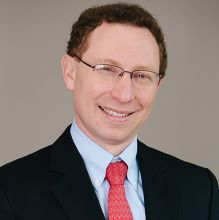 Camden Consulting Group, a Boston-based leadership development and coaching consultancy and a division of Career Partners International's Keystone Partners, announced David Brendel has joined the firm as Partner. David Brendel joins Camden Consulting as a new Partner. David has a proven track record of partnering with executives and executive teams to develop practical and sustainable solutions that drive business growth. Camden Consulting Group, a Boston-based leadership development and coaching consultancy and a division of Keystone Partners, announced David Brendel has joined the firm as Partner. David will focus on building leadership development programs for Camden’s Coaching, Group Leadership Development, and Team Effectiveness practices. Previously, David served as a Camden Associate where he coached individual executives and teams in life sciences, healthcare, law, and family businesses, to formulate solutions to improve effectiveness and deliver results. His leadership role resulted in helping business leaders to manage stress, negotiate interpersonal conflict and develop leadership capacity. David will continue to provide expert executive coaching to Camden clients. David was recently designated a Professional Certified Coach by the International Coach Federation (ICF) and is also a Master Certified Coach Trainer in the Center for Executive Coaching. Additionally, David is nationally recognized in the industry with pieces published in the Harvard Business Review and the Huffington Post. In addition, he hosted a radio show on the VoiceAmericaTM Empowerment channel entitled “Leading Minds with Dr. David Brendel.” He is the author of Healing Psychiatry, which was published by MIT Press. He attended Yale College and graduated with a Bachelor of Arts, received an M.D. from Harvard Medical School, and earned a Ph.D. in philosophy from the University of Chicago. Keystone Partners, founding partner of Career Partners International (CPI), provides career management support for individuals at all levels, and companies of all types and sizes. It is comprised of Keystone Associates, Essex Partners, and Camden Consulting Group. Camden Consulting Group provides focused, practical and customized leadership development and talent management services to client organizations and their employees. Founded in 1987, Career Partners International is one of the largest talent management consultancies in the world. From more than 270 offices in 47 countries, consultants of Career Partners International provide talent management, executive coaching, career management, and career transition services to clients worldwide.